Garold George "Gary" Goodwin age 71 of Lane, KS died Saturday November 24, 2018 at his home. 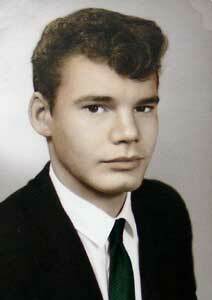 Gary was born Jauary 6, 1947 in Paola, KS. He was the eldest of two sons born to Frederick William and Grace (Scheller) Goodwin. He grew up in the Osawatomie area and attended school at Fairview and Osawatomie. He graduated with the Osawatomie High School of 1965. After high school, Gary went to Pittsburg State University and earned his Bachelors in Business. On November 25, 1969, Gary married Maxine Jane Caylor at the First Baptist Church in Osawatomie. Together the couple had two children Rebecca and Jeremy. Gary went to work for KOFO radio station in Ottawa as a salesman for three years. Then Gary and his family moved to Centerville, IA where Gary managed a Gamble's. In 1976, Gary started his career with the Missouri Pacific Railroad. Then in 1985, he transferred to the Union Pacific Railroad. He worked as a conductor and was known as 3G's. After 32 years, Gary retired from the railroad in 2008. After retirement, Gary enjoyed life. He loved to fish! He backed his truck into a pond and instead of trying to get it out he sat and continued to fish. Gary and Maxine loved to ride their motorcycle. They would travel to Sturgis every year with family. He loved restoring vehicles. He built a 55 Chevy and restored a 1979 Corvette. Gary loved his family! He enjoyed going out to eat with them and his friends. He would watch westerns during his down time. He was a member of the 1st Christian Church of Osawatomie. While at Pittsburg State University he was a member of the ROTC. At one time he was a member of the Optimist Club in Ottawa. He also was a member of NARVE. Jeremy (Sherry) Goodwin of Lane, KS, Grandchildren Cole McClain, Tancy Goodwin and Dallitan Goodwin. Brother Michel (Jeanie) Goodwin of Spring Hill, KS. Along with other family and many friends.